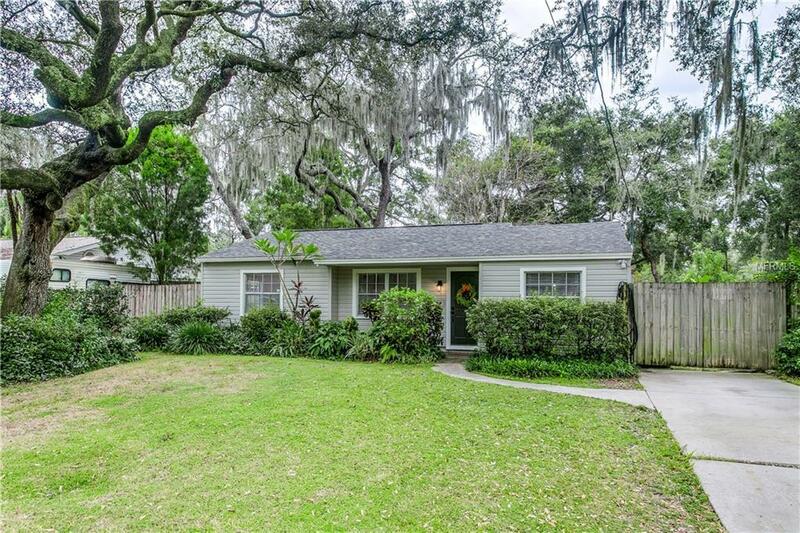 This adorable home is located on a dead end street tucked away along the Hillsborough River. Home features new wood look porcelain tile throughout, new blinds and lighting, Ecobee smart thermostat, freshly painted inside and out, upgraded bathroom and kitchen with all new cabinetry, new stainless steel appliances, and granite countertops. Indoor laundry room with new washer and dryer. Newer roof and water heater. Beautiful spacious fully fenced lot with mature landscaping and a shed. Enjoy evenings on the large screened in porch. Only a block away from the Lowry Park Zoo and Lowry Park featuring a public boat ramp. Great biking and walking trails all around the neighborhood. Excellent location centrally located in the heart of Tampa, close to the best restaurants, shopping and the breweries in Seminole Heights. Minutes away from Downtown Tampa, Museums, Tampa Riverwalk, USF, UT, and Tampa International Airport.